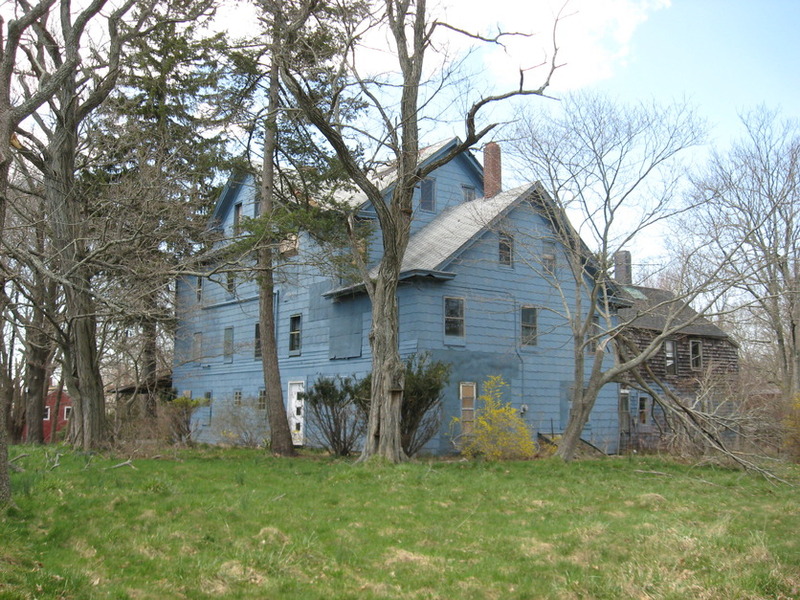 Although never incorporated as such the term 'Village' was commonly used during the 19th and early 20th century when referring to that portion of the present day Southampton, NY hamlet of Flanders that lies along State Route 24 between Chauncey Rd and the eastern shore of Goose Creek. 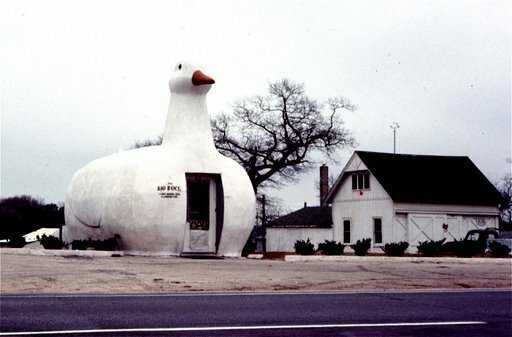 In an undated photo "The Big Duck" keeps a watchful eye on the western approach to the old "village of Flanders"
The hey days for the old village roughly coincided with the "Boardinghouse Era" (1870 - 1920) when nearly a dozen summer hotels and boardinghouses, all catering to the flourishing stage and carriage trades, joined the well appointed homes and 'cottages' that had been built along the wide 'Main Street' that is known today as Flanders Rd. 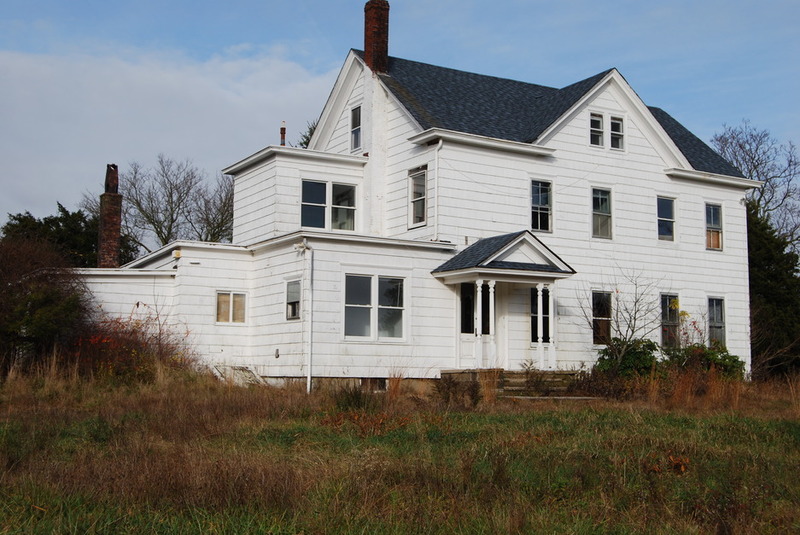 In 1891 the bucolic village became the headquarters of the newly formed and very exclusive Flanders Club, a sportsmens club, whose membership, comprised of wealthy NYC business men, would eventually control 10,000 acres of marsh and upland in the vicinity of Flanders. The Great Depression of the 1930's marked the end of a period of prosperity in Flanders that had lasted for more than a century. One by one the hotels and boarding houses fell into disrepair and were demolished or lost to fire. We are fortunate however that many of the old places have managed to survive to remind us of our community's fascinating history. 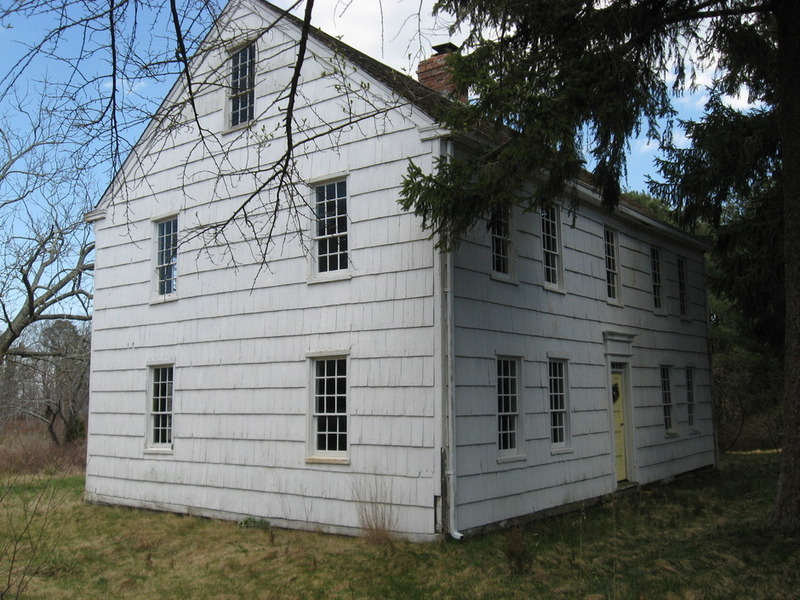 The 'place name' used by eastern Long Island's Algonquian natives when referring to the lands that included the present day Southampton Town hamlet of Flanders was 'Akkobauk'. Akkobauk, or any one of several spelling variations of that name, including Accabog, Acabog and Ocabauk, translates roughly to 'lands at the head of the bay' or 'cove place'. 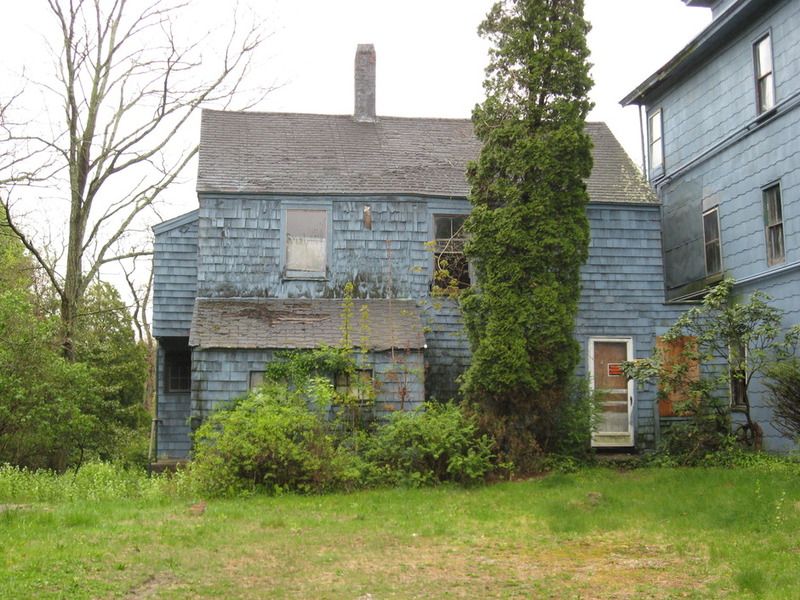 This area encompassed a large tract of marsh and upland located on both the north and south forks of the island which are separated by the Peconic River and estuary. 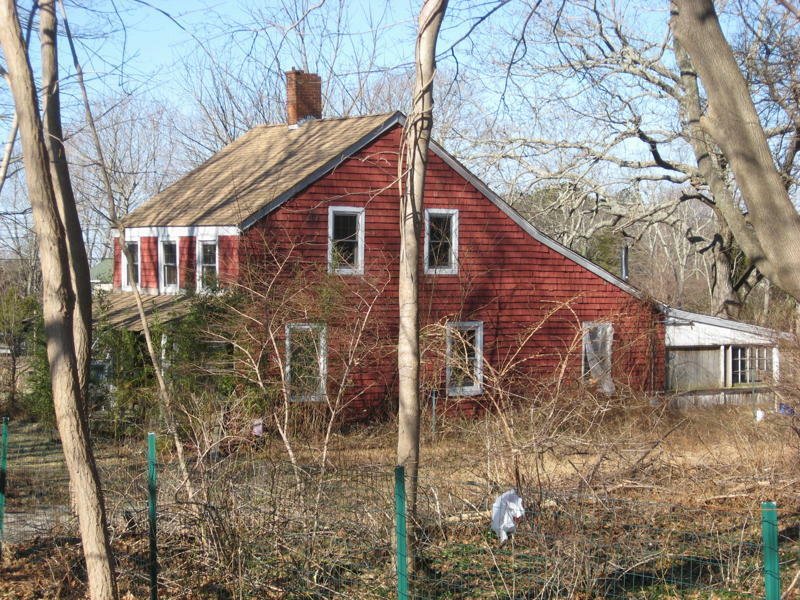 The Algonquian natives had inhabited Akkobauk for at least 8,000 years prior to Southold Town's purchase of a majority of the area, including what would later become Flanders, from the north fork's natives in 1648. 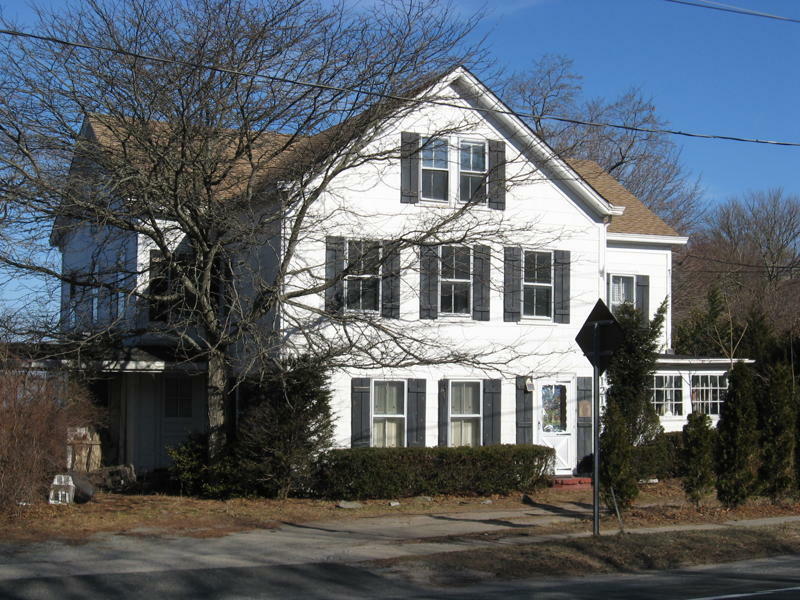 Southampton Town would later (1659) purchase the Flanders section from ancestors of the Shinnecock Nation sparking a legal battle that would not be completely settled, in Southampton's favor, until 1686 . Undated sketch map, by Wm.S. 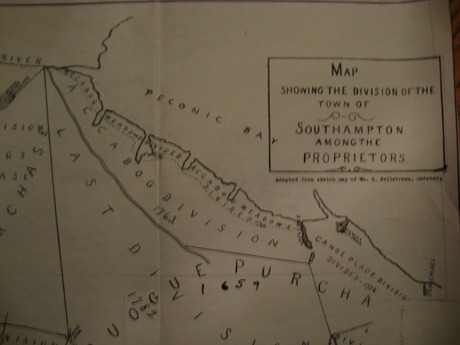 Pelletreau, of the division of the Town among Southampton's Proprieters. The Southampton section continued to be referred to as Accabog until the later part of the 18th century when the area adopted the name Flanders from the European region of the same name which is located in the southern lowlands of Belgium. The century immediately following the purchase saw little in the way of development in the area known today as Flanders. Remotely located from the more densely populated villages scattered along the shores of both forks, Flanders remained little more than a sparsely populated source of valuable natural resources. 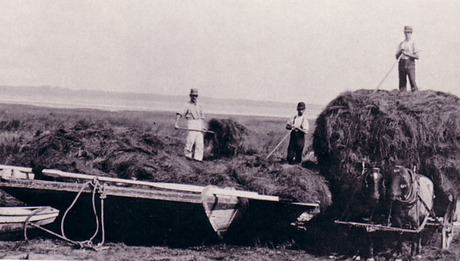 Salt hay, with a variety of uses including feed, bedding and insulation, was the first resource targeted by the early settlers and it was utilized well into the 20th century. Undated photo of men loading salt hay onto wagon from hay barge. 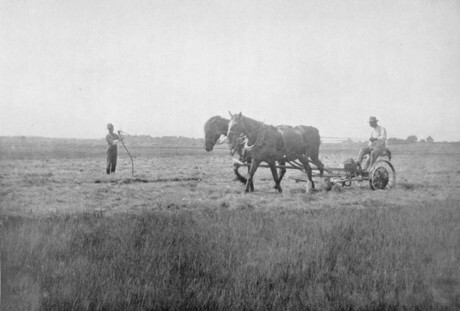 Undated photo of salt hay being harvested with a horse drawn harvester. Being ideally situated at the intersection of the 'barrens' and the bays, early Flanders settlers were quick to establish themselves in the wood industry and several generations of their descendants would find their fortunes in the harvesting and shipment of cordwood. 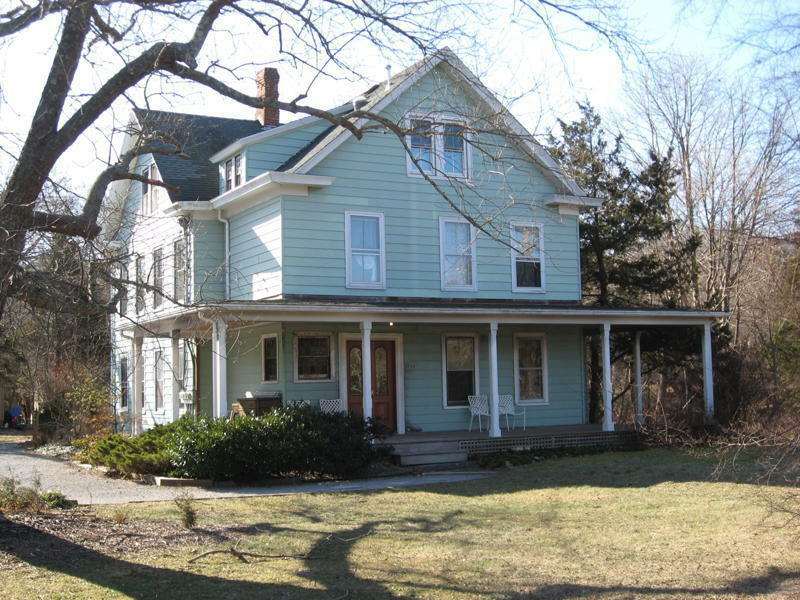 The majority of the pitch pine harvested from the pine barrens that surround Flanders was hauled down to the landing near present day Bay Ave and loaded onto sailing vessels bound for the brick kilns of coastal Connecticut. 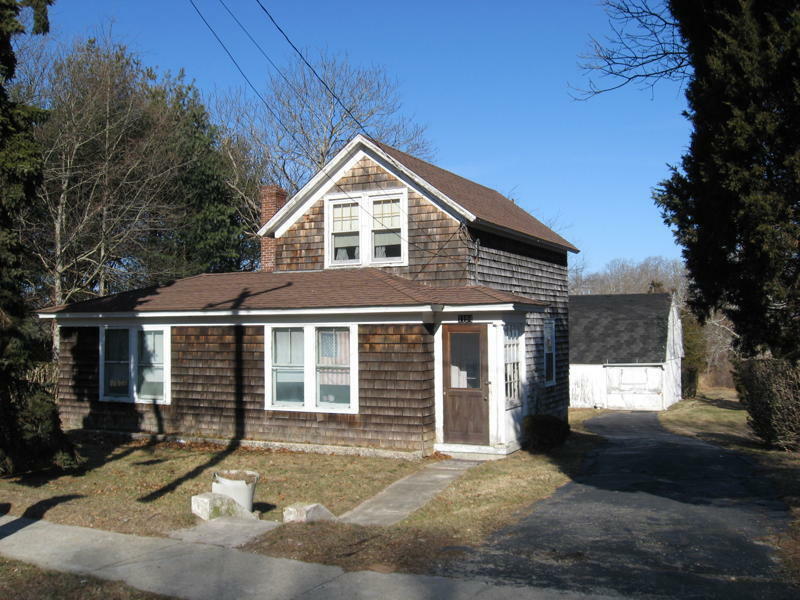 Long Island's cordwood industry remained lucrative until the close of the Civil War when it then became necessary, due to over harvesting, to import wood from elsewhere. The end of The War for Independence, and the restructuring that soon followed, marked the beginning of a century long period of growth and prosperity for the tiny settlement that became known as Flanders. 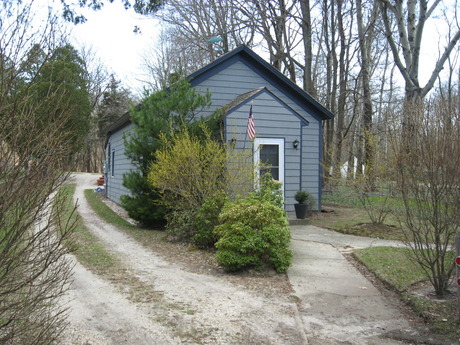 In 1794 the section of today's Flanders Rd that runs between Peconic Ave, near Riverhead, and Pleasure Dr, in Flanders, was included as a part of Suffolk County's first postal route. 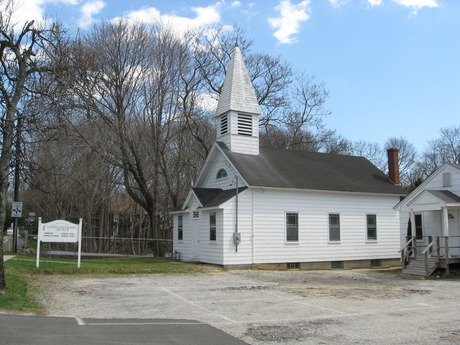 The first Flanders post office was established in 1834, a Congregational Church (today's Flanders United Methodist) soon followed in 1840 and a schoolhouse was built in 1858. Flanders United Methodist Church built in 1840. 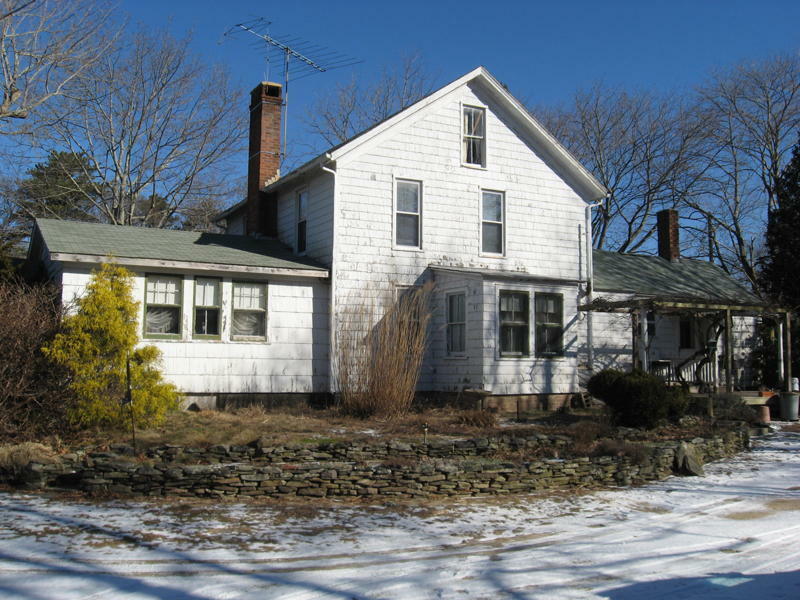 Although the original 1858 Flanders Schoolhouse was destroyed by fire the replacement, which was built in 1886, survives and now serves as a private residence. For a more detailed history of Flanders please click on the "Flanders Hamlet Heritage Area" button that is located on the top of this page.